Friends of the Longmont Senior Center, Inc. | Funding our future. Function in such other capacities as may be permitted by law. The 12 member Board of Directors for the Friends of the Longmont Senior Center diligently manage donations in support of numerous Senior Center programs. Notable are “Senior Activities Scholarships”, the “Cultural Enrichment” and “Last Resort” programs. These activities and others help enhance the quality of life for seniors enjoying programs offered through our Longmont Senior Center. Meetings: The Board meets the 4th Tuesday of each month from 3 – 4:30PM. The annual meeting is held in January of each year. Partnership with the City: The Senor Center is owned and operated by the City of Longmont. 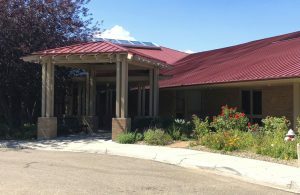 The Friends, in partnership with the City , enhance the programs and services to older adults, improve the senior center facility and enrich the lives of older adults in Longmont. For more information, please go to the Contact Us page.